Cheers, music video lovers! It’s Andy Gesner and the staff from HIP Video Promo, back with a brand new clip from a group of British pop stars with a deeply American sound. The music of The Magic Numbers may remind you of classics California acts like The Byrds, The Mamas & The Papas, and mid-Seventies Fleetwood Mac. Romeo Stodart’s songcraft may be McCartneyesque, but when he raises his voice to harmonize with his bandmates, it’s pure Brian Wilson-style left-coast magic he creates. 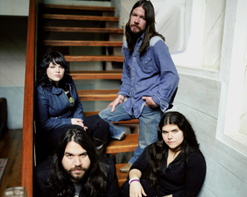 The New York Times listed the first Magic Numbers album among the year’s finest; the Wall Street Journal concurred, and added that “to call it the debut album of the year might not be praise enough”.Spin, Details and Rolling Stone all raved – and even the USA TODAYgot into the act, lauding the band’s songwriting and three-part vocal harmonies. Back home in Britain, The Magic Numbers received a shower of ecstatic praise, the album soared into the Top 10, and the band launched four singles into the U.K. top 20. Stodart and his band toured with U2, Brian Wilson, and The Who, and played almost every major summer festival held in 2005 and 2006 – including Bonnaroo and Coachella in the United States. Warm summer sun, outdoor stages, and The Magic Numbers music were all meant to go together. The band is set to reprise its triumphant swing through the European festivals again this year, and in August, they’ll be coming to America for shows at (among other places) the Avalon in Boston, the Great American Hall in San Francisco, and New York’s Central Park. A sound as big and glorious as the one captured on Those The Brokes requires a majestic setting. The sophomore effort from The Magic Numbers finds the band expanding on everything that made the debut so heralded: they’ve sharpened the writing, intensified their performances, and raised the level of their musicianship as well. 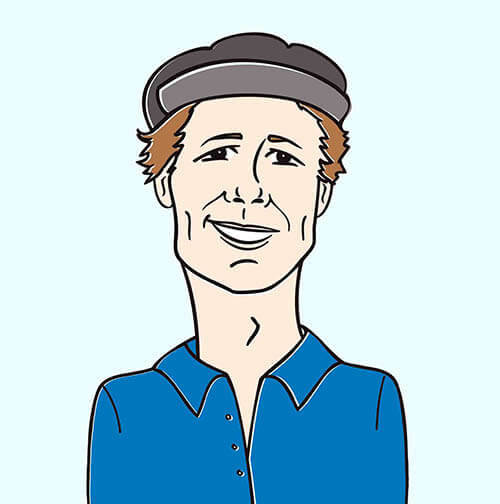 That’s all apparent on “This Is A Song”, the lead cut – a dazzling pop track with a near-psychedelic bassline, six-string jangle, and a melody that swoops and floats like a feather in a breeze. Peter Boyd Maclean isn’t a well-known name in America, but British viewers know him as a TV director and co-creator of the animated series Crapston Villas. But there’s nothing childish about the clip for “This Is A Song”. Instead, the director teases out the cosmic undertones within The Magic Numbers’s music. Maclean shoots the band atop a slowly spinning black disc – it appears momentarily that they’re performing on the center label of a vinyl LP. Behind them, stars, clouds, and moons race through the sky; backlit and silhouetted people walk toward the band and take seats at their feet. Soon, the space surrounding The Magic Numbers is filled with illuminated rings, hot pink and neon green. Orange lights flash around them, and rise in vertical columns like skyscrapers toward the top of the frames. Finally, the camera appears to recede from the scene, and it becomes apparent that The Magic Numbers are singing their song from the top of a magnificent flying saucer. We would like to extend our sincere thanks to Astralwerks for their continuous hard work in helping us deliver the best music videos to you and your viewers. They will be hooking us up with plenty of copies of Those The Brokes for all of your on-air giveaway needs, and the band will be touring select markets in the US this summer, so give us a shout if you’d like to be hooked up with some CDs or a video interview! If you need more info, call Andy Gesner at 732-613-1779 or email us atHIPVideo@aol.com.